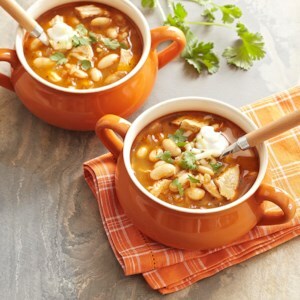 Find healthy, delicious low-calorie turkey recipes, from the food and nutrition experts at EatingWell. 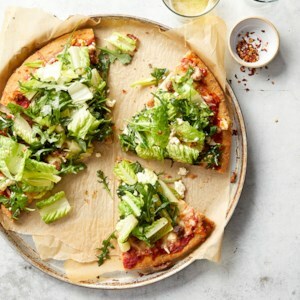 The toppings for this meal-on-a-slice go way beyond the typical smattering of sliced mushrooms or peppers and into the realm of complete servings of vegetables. Needless to say, grab a fork and knife for this healthy and easy dinner, which comes together with just 20 minutes of active time. 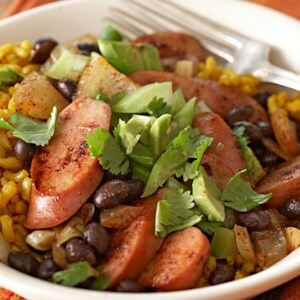 Beans and rice are staple foods so we've made them irresistible by adding smoked turkey sausage and a fresh tomatillo topping. 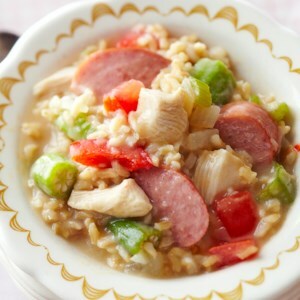 This recipe comes in at under 200 calories per serving and is ready in just 45 minutes. Forget burgers--for your next barbecue, consider grilling up these jerk-seasoned turkey tenderloins served with a thick honey-orange glaze. 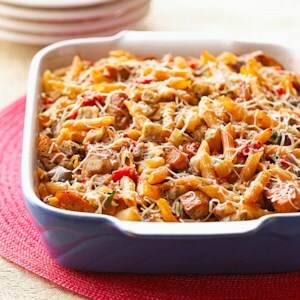 This delicious one-skillet pasta meal-for-two is ready in just 35 minutes! 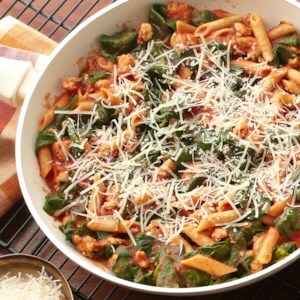 Turkey--seasoned with a spicy Italian-seasoning blend--is served with tomoto sauce and wilted spinach over multi-grain pasta. Use your slow-cooker to make this tasty appetizer. 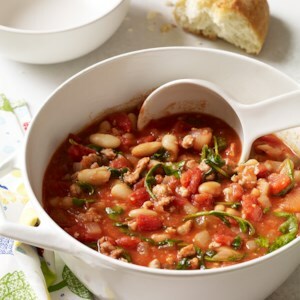 Sweet turkey sausage and cannellini beans are featured in this delicious stew. 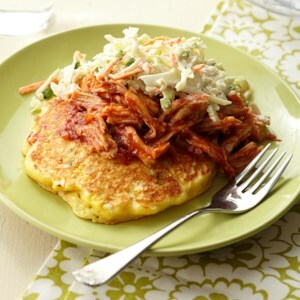 Corn pancakes topped with turkey in homemade barbecue sauce and coleslaw will become one of your favorites, especially if you love breakfast-for-dinner. Lower-sodium deli turkey and a ready-made slaw mix team up in this quick lunch recipe. 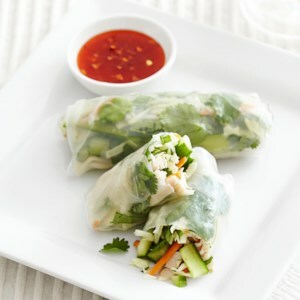 The spicy chili-Sriracha dipping sauce is easy to mix up and adds great flavor to these spring rolls. 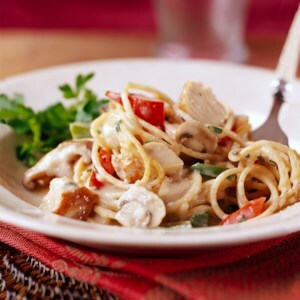 In the mood for Italian? 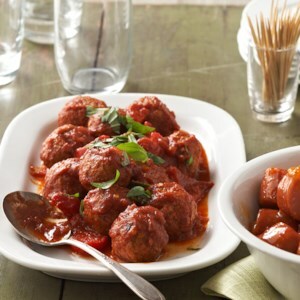 Try this low-fat sausage-and-eggplant one-dish meal recipe. Top this spicy chili with hot sauce if you love the heat. 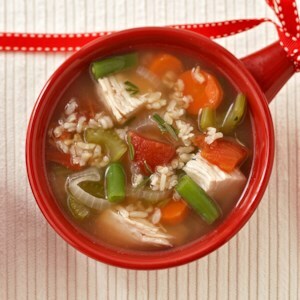 Use cooked turkey or chicken breast and plenty of veggies to make a delicious, classic soup in only 30 minutes. 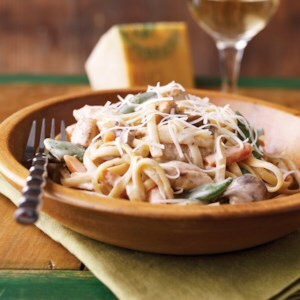 Lean turkey and colorful, tasty vegetables star in this easy slow-cooked pasta dish. 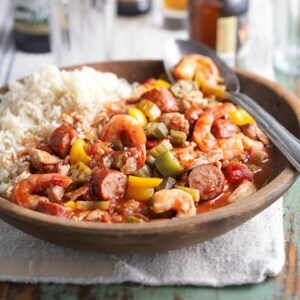 Prepared the original way, this dish has the potential to be astoundingly high in calories and fat. This diabetic-friendly version is healthier but tastes just as terrific. 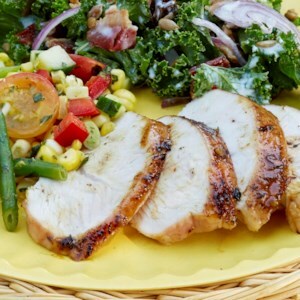 Serve it with a side salad tossed with reduced-calorie Italian dressing. 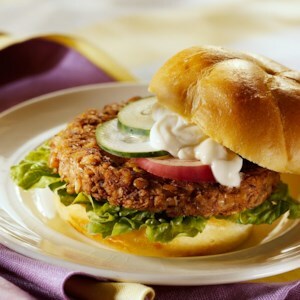 Carrots and green onions make these low-fat burgers juicy. Grill them to serve at your next cookout. 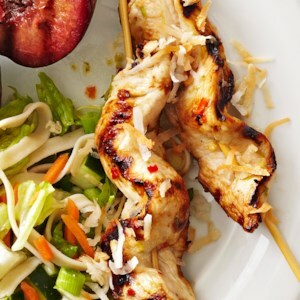 Threading strips of turkey tenderloin onto skewers is a unique way of preparing this white meat. The tenderloin gets its flavor from the sweet-and-spicy citrus marinade and the toasted flaked coconut which is sprinkled on top just before serving. 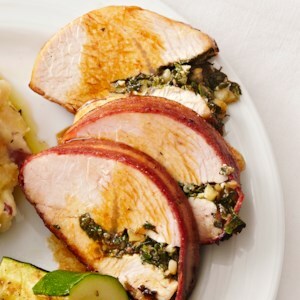 These turkey tenderloins are sliced and stuffed with a delicious herb mixture, wrapped in bacon, browned in a skillet and then roasted in the oven. Don't forget to drizzle some pan juices on each serving! 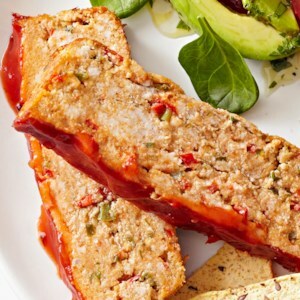 This recipe takes your grandmother's 1950's meat loaf and brings it into the modern era! It's made with ground turkey, peppers, green onions, reduced-sodium taco seasoning and jalapeño pepper. Taco sauce is baked right onto the top of the loaf. 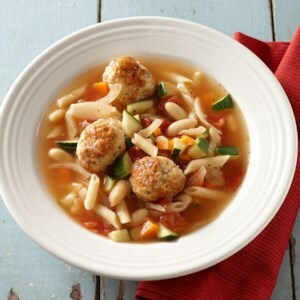 Compared to beef, turkey is lower in calories and saturated fat, which is why the Turkey Meatball is the star of our mouth-watering Turkey Meatball Minestrone soup recipe.